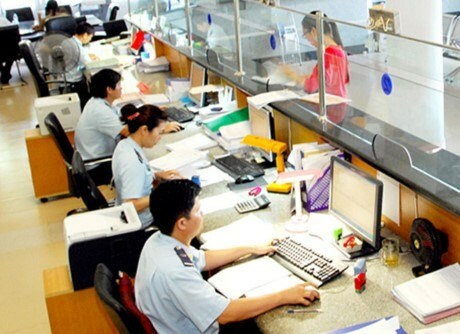 Hanoi (VNA) - The Ministry of Industry and Trade (MoIT) will complete the reduction of administrative procedures in the third quarter of the year, with two-thirds out of 443 being removed. The ministry has established a special working team including director of the Legal Department, director of the Planning and Investment Department and Chief of Secretariat to review overall administrative procedures and business conditions, and make plans for their reduction or simplification. The move followed instructions by Minister Tran Tuan Anh on reviewing regulations on investment, business and administrative procedures under the ministry’s management. The MoIT has been one of the ministries managing a high number of investment sectors and business conditions, with 28 under its purview. All investment sectors subject to conditions must have administrative procedures to implement State management. The ministry manages 443 procedures. However, in reality, it manages more than 100 public services, as an investment licence, for example, would include three or four administrative procedures including granting, supplementation, extension and withdrawal. Over the past few years, the ministry has been active in reviewing, reducing and simplifying administrative procedures. It has taken drastic measures in administrative reform this year. Currently, the MoIT has removed and simplified 123 administrative procedures, accounting for nearly 30 percent of the total. It revised and supplemented 60 legal documents as well as assessing their effects. The ministry aims to establish an administrative procedures system that ensures simple, transparent and modern criteria. Accordingly, the reform project could contribute to improving the investment environment, thus increasing the economic competitiveness and State management in the industry and trade sector. The MoIT said its legal documents which were put forward for approval have received strong support from the business community and relevant agencies so far this year. In addition to administrative reforms, the ministry has strived to modernise its administrative procedures.